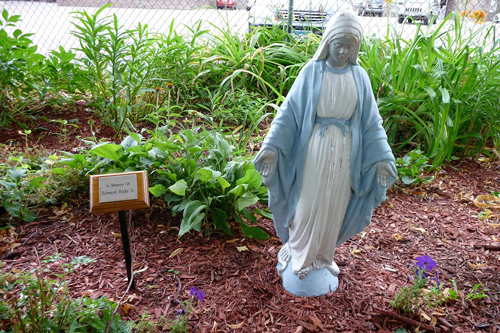 When your heart is troubled and the country is at war try planting a peace garden. Motherwort for its cardiac-strengthening properties and chamomile, vervain, lavender, and valerian for their calming qualities. 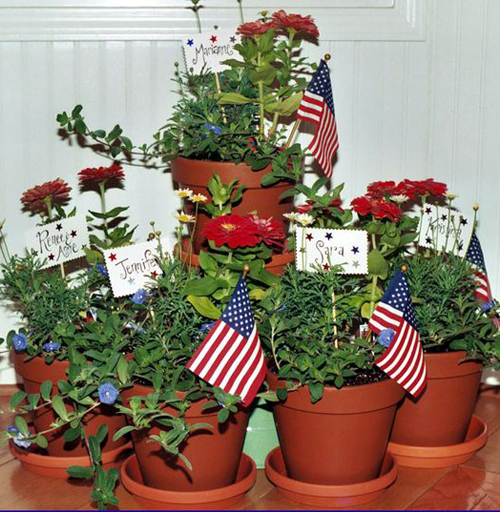 Planting a potted garden brings you peace at troubling time. 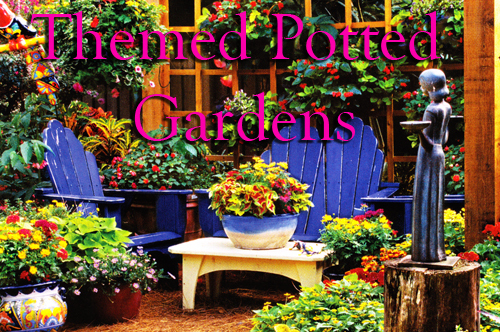 Want a Southwest Theme to your potted garden? Fill your terracotta clay planters with poppies, blanket flowers, bluebonnets, ornamental grasses and hardy cacti. Select plants with colors that are earth tone and muted. You want it to express a sunny attitude by using orange, rust and green plant materials. Bright colorful Mexican pottery filled with lively and dramatic flowers give a playful and fun feel. Add a garden sphere for fun. Fill the tops of planters with river rock to reflect a dry river bed or use colorful rocks or soil to fill in around the plant materials. Even the little things make a big statement. Zen Garden theme anyone? When you think of planting this type of theme you think of muted colors, organic plant materials, natural pottery and a clean feel. Well, that is great and works wonderful but another option would be bright oranges and colorful plants to create a invigorating and exhilarating garden where you go to relax surrounded by warm color tones. Hang a piece of colorful fabric from a patio cover and carry that color theme with cushions, place mats, or napkins. Seasonal themes are always easy to create. This fall design shows simple pots with fall plants spilling over the sides. The dried gourds add a theme that can't be denied. Use fall grasses, or wildflowers. For Spring use garden bulbs and deep green plants, summer is easy with lots of flowers and color and Winter can be achieved with boughs from pine trees, holly and dried plant materials.